Spanish chef José Andrés is a party god, with a larger-than-life personality and expert strategies when it comes to prepping food and drinks that guests will love. Mainly, he serves lots of delicious Spanish meats paired with copious amounts of wine and gin & tonics. He shares some of his best party prep tips in a new video on foodandwine.com. But if you don’t have time to prep, you can still host like a pro. Here, five recipes that are ready in no time. Spanish cooks traditionally fry sweet-hot Padrón peppers and toss them with salt. This recipe adds prosciutto and mint and is still super fast. Serve this dip with whatever vegetables are on hand, except for the celery wilting in the bottom of your crisper. 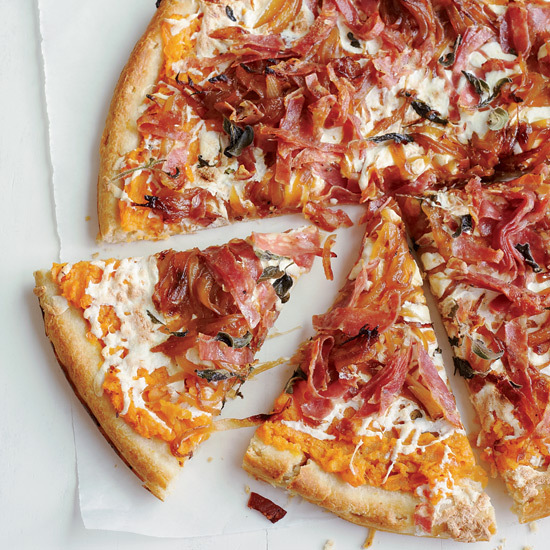 You can make this with mostly pantry items, like pre-baked pizza crust and balsamic vinegar. Homemade hummus is always better than the stuff sold in plastic tubs. Cold dishes are fantastic for fuss-free parties, and this cool cucumber dip is as easy as it gets.